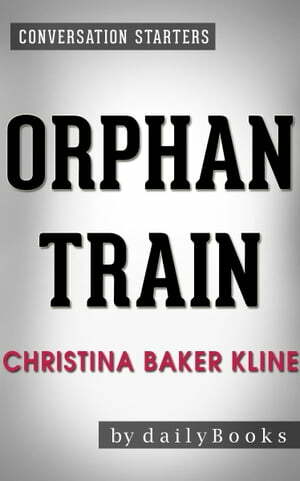 Collins Booksellers - Conversations on Orphan Train By Christina Baker Kline by dailyBooks, 1230001217001. Buy this book online. Orphan Train by Christina Baker Kline is about the relationship between Molly Ayer and Vivian Daly. Brought together by Molly’s community service sentence, seventeen-year-old Molly learns that she has much more in common with ninety-one-year-old Vivian than she first thought. Both women were orphaned as children and share a similar story. However, Vivian was an orphan during the Great Depression and Molly is an orphan today. Kline tells this enlightening and emotionally engaging story based on true accounts of the Orphan Train Movement in early 20th century America. Orphan Train has become an international bestseller, having sold over two million copies in thirty-five countries. It has spent over ninety weeks on the New York Times bestseller list, including five weeks in the top spot.